Istanbul is an important province in terms of its plant diversity, even when compared with the extraordinary richness of Turkey's flora. 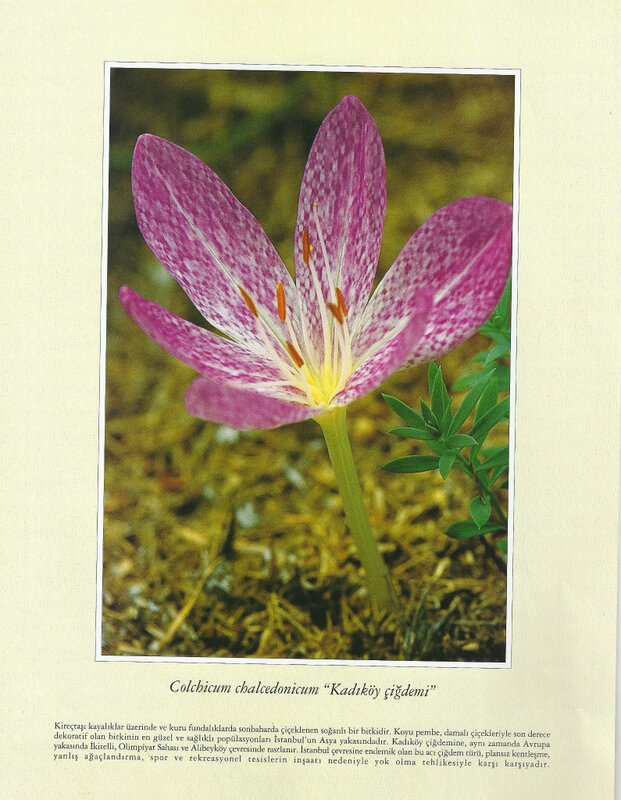 Its 5,510 square kilometer area it is home to approximately 2,500 kinds of plants. 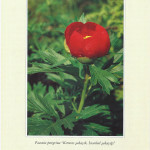 It is a botanical richness that can be compared with that of entire countries. 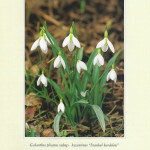 İstanbul hosts around 2500 flowering plants and ferns. 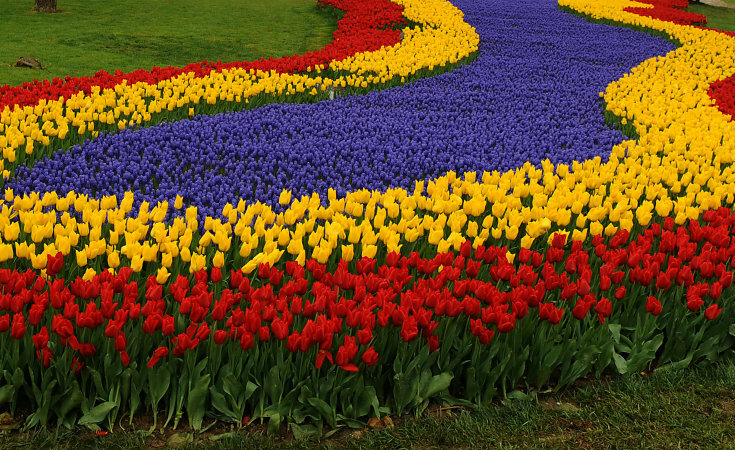 Holland has 1600 taxa in an area eight times larger than İstanbul and England has 1850 taxa in a land 47 times larger. 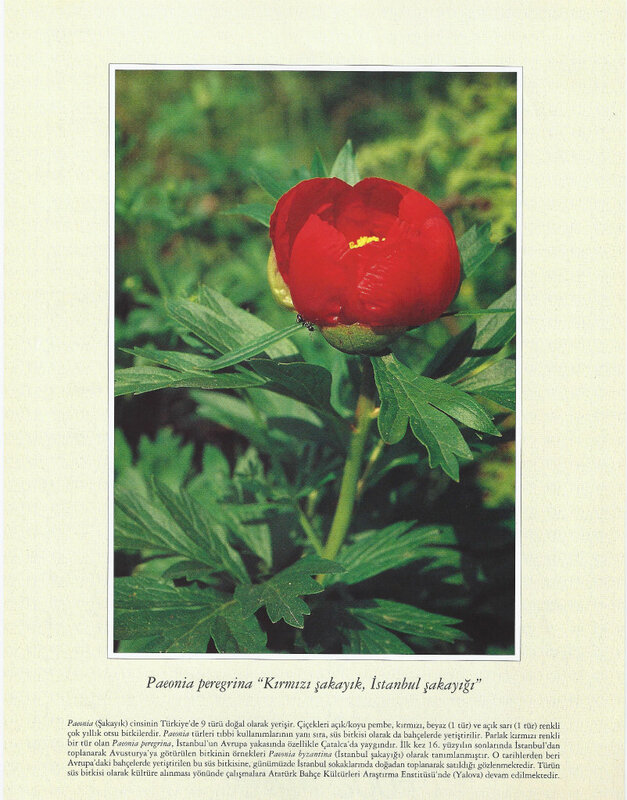 Similarly, Poland hosts almost the same amount of taxa (2450) in a 60 times larger land. As a consequence of the high degree of variety in Turkey’s geography, geomorphological structure, soil property and climatic patterns, the seeds of the plants and therefore plant species can show diversity in quite short periods. Turkey is considered to be one of the richest geographical areas in this respect, with its approximately 10.000 indigenous plant species. 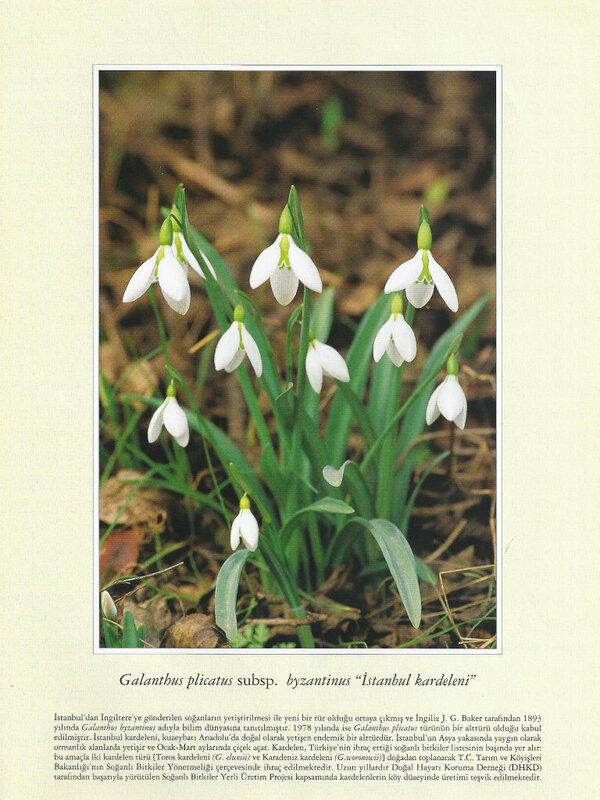 İstanbul is also home to many plants that are classified as endangered globally or in Europe. İstanbul has 7 “Important Plant Areas”. 270 of the indigenous plants in İstanbul are registered in “Endangered, Rare and Endemic Plants in Turkey” list and the richest populations of the 40 of these plants are in İstanbul. As the case in Ömerli, an Urban Biosphere Reserve within the context of UNESCO’s Man and the Biosphere Programme (MAB), the natural zones in İstanbul are both centers of attraction with the diverse flora and under the threat of unplanned urbanization. 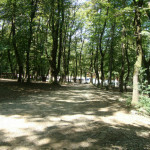 The natural vegetation created by the circumstances such as climate, soil and geomorphological properties in İstanbul is forest, but the fact that İstanbul has been inhabited for ages together with the effects of urbanization, industrialization and agricultural practices led to a excessive changes in these forests. 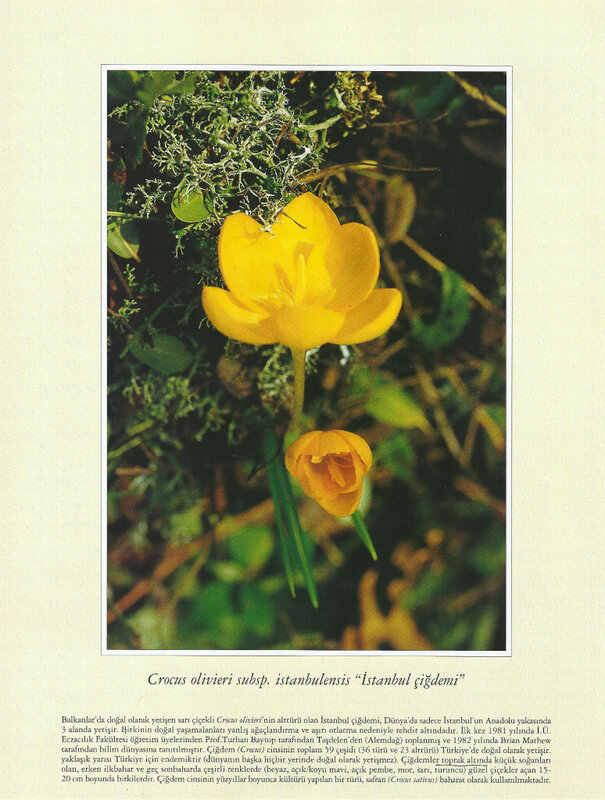 40 of the species in İstanbul flora are endemic to Turkey and 23 of them are endemic to İstanbul and its vicinity. 122 “Important Plant Areas” have been fixed in Turkey. Important Plant Area describes a natural or semi-natural area that hosts extraordinarily rich and/or rare, endangered and/or endemic plant species; and/or has very rich vegetation. 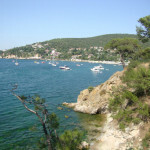 7 of these IPAs are in Istanbul and they can be listed as Terkos-Kasatura coast, Ağaçlı dunes, Kilyos dunes, Western İstanbul meadows, Northern Bosphorus area, Sahilköy-Şile coast and Ömerli basin. What all these areas have in common is that they all host a great number of endangered plant species. Istanbul is an important province in terms of its plant diversity, even when compared with the extraordinary richness of Turkey’s flora. 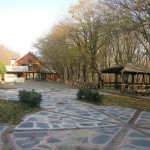 Its 5,510 square kilometer area it is home to approximately 2,500 kinds of plants. 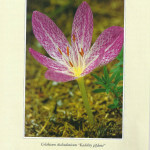 It is a botanical richness that can be compared with that of entire countries. This botanical richness derives in part from its geographical location – between two continents and two seas – its geological formation, topography and climate. 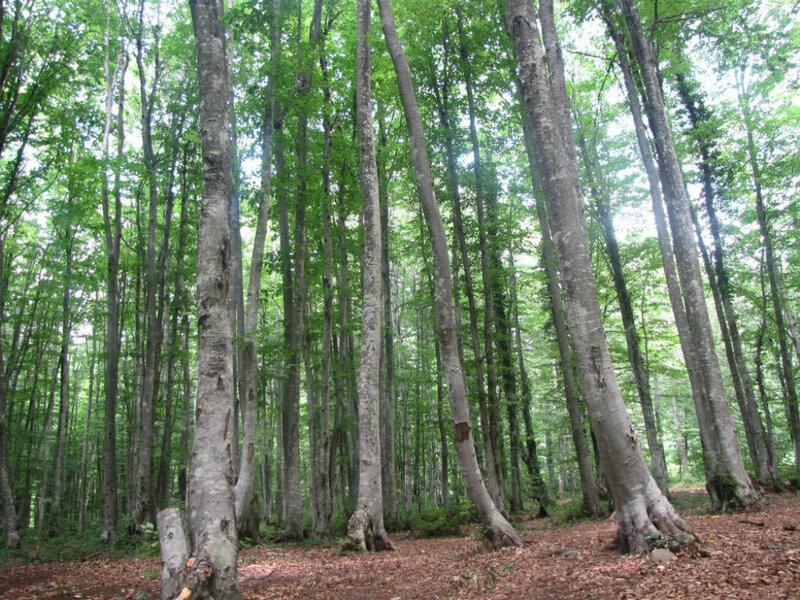 Istanbul has an extraordinarily rich habitat diversity; pastures, sand dunes, wetlands, shrublands, and beech, oak and hornbeam forests are all found here. For example Istanbul is home to both Turkey and Eastern Europe’s richest shrublands. 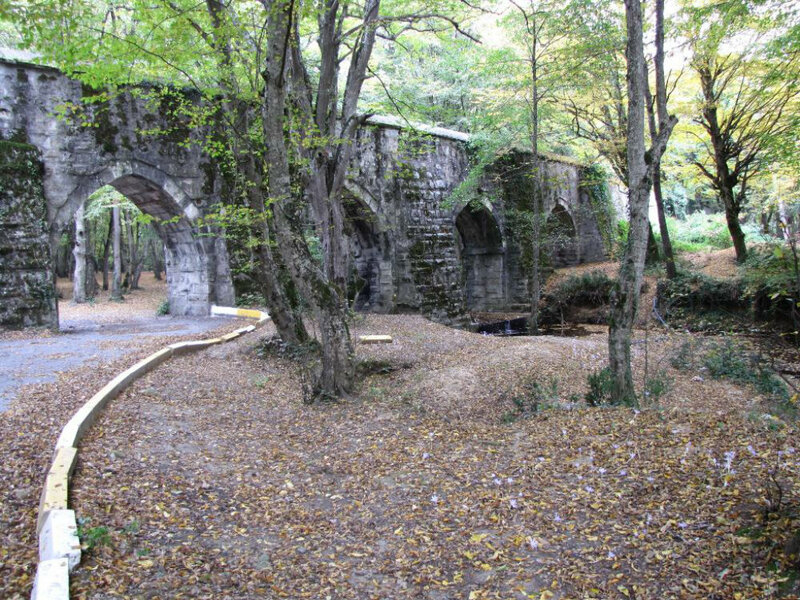 The Society for the Protection of Nature (DHKD), in cooperation with Istanbul University’s Pharmacy Faculty, is working to draw attention to and protect Istanbul’s extraordinarily rich natural spaces. 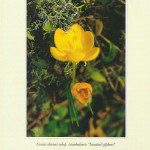 Together they are publishing books, posters and brochures explaining these areas’ importance. 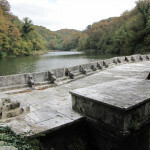 As a result of Istanbul’s diverse landscapes, its location between two seas and two continents (affected by both the cold, humid climate of the Black Sea and the Marmara Sea’s warmer Mediterranean climate), its topography and its centuries-old traditional land-use methods, the province is home to an extraordinary biological diversity. Around 2,500 types of plants are found within an area of approximately 511,000 ha. 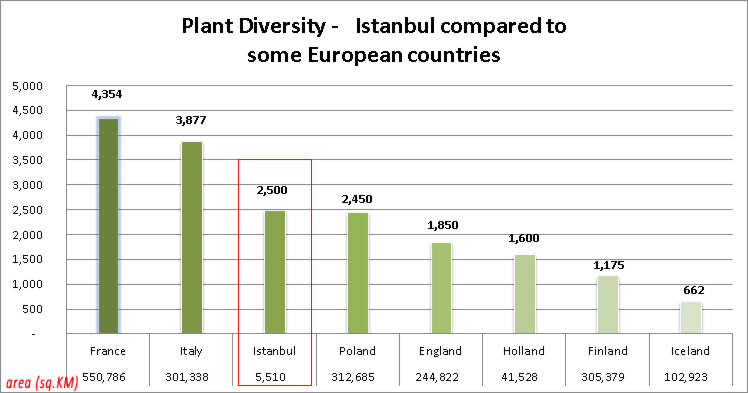 In regards to habitat variation and plant diversity, Istanbul is richer than both the Netherlands and England. In order to evaluate the vegetation of a city, region or country the number of endemic plants is a very important criterion. Of the plants which grow naturally in Istanbul 39 are endemic, which is to say that they do not grow naturally in any other place in the world. Of these 18 are only found within the borders of Istanbul, while 21 are found over a slightly larger range. The 18 endemic plants in Istanbul are now protected by the Bern Agreement, to which Turkey is a party. 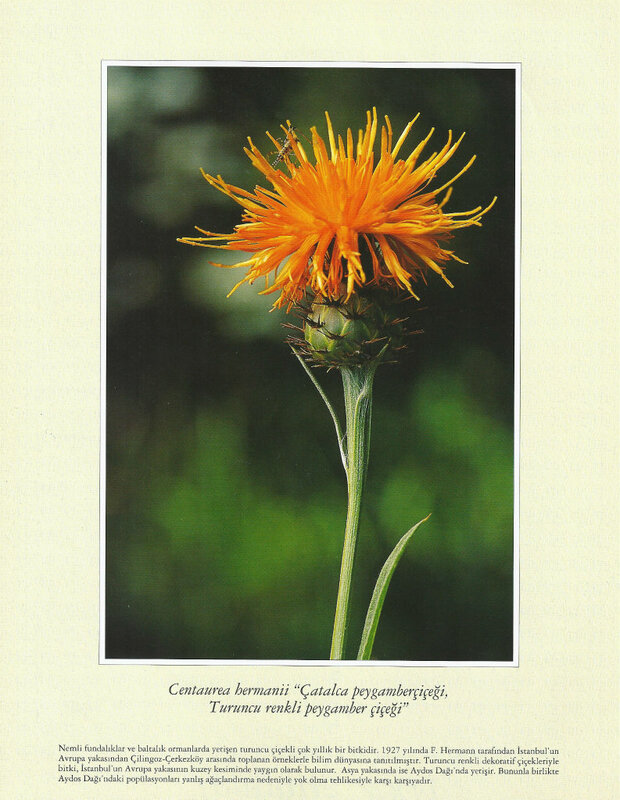 Within the provincial borders of Istanbul there are approximately 250 plants at risk of extinction. 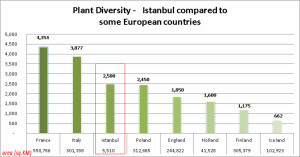 Or to put it in other terms, Istanbul is at risk of losing 10 percent of its plant diversity. Important Areas for Plant Life in Istanbul. Important Area for Plant Life: Defined as any natural or partially natural area home to a rich population of rare, endangered and/or endemic plant life, and/or an area of extraordinary botanic diversity, and/or rich vegetative coverage . 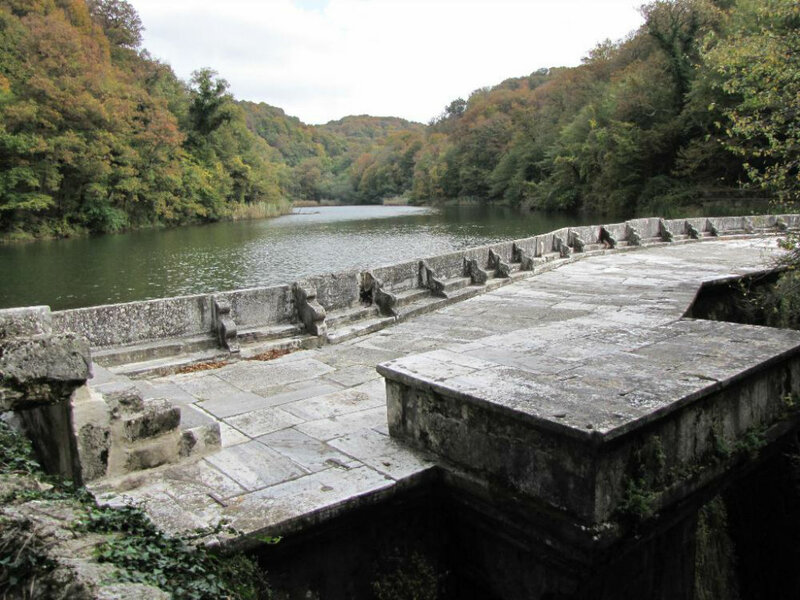 The Society for the Protection of Nature (DHKD) and the Pharmacy Faculty of Istanbul University have identified 7 areas within the borders of Istanbul that are particularly important for plant life. 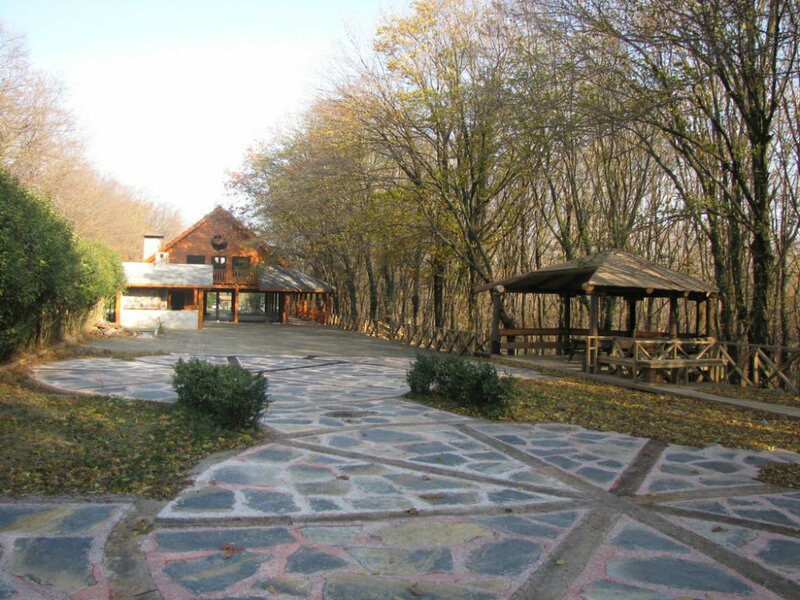 Spreading over the northern hills of Thrace and the coppice forests, shrublands, pastures, wetlands and sand dunes which descend toward the Black Sea, this region is a natural mosaic. It is home to 13 endemic plans, 73 endangered plant species, and with 10 of the plants on the Bern Agreement’s supplementary list, it is one of the most important natural spaces in the province. Consisting of around 60 Km2 of natural sand dunes on the coast of the Black Sea, it is home to the internationally significant Lily of the Valley, Woad, and the most important population of Bosphorus Flax. The second richest shoreline in Istanbul. 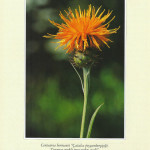 Cornflower and Jurinea kilaea are found in these sand dunes on the coast of the Black Sea. This spot, atop the Western hills of Istanbul, is home to 5 species of plants on the Bern Agreement’s supplementary list. Located in the north of the province around the Bosphorus, it is home to a number of endangered plant species such as Heptaptera triquetra, Erysimum degenianum and a rare species of clover. It is also important as a stopping point for migratory birds such as storks, and falcons and eagles. With its forested coastline, this region is important for its miles of rich, sandy plant habitat. 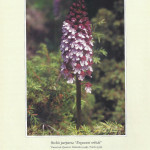 Here a number of notable plants can be found such as Asperula littoralis, convolvulus persicus (a species of Morning Glory), Lily of the Valley and Verbascum degeni. 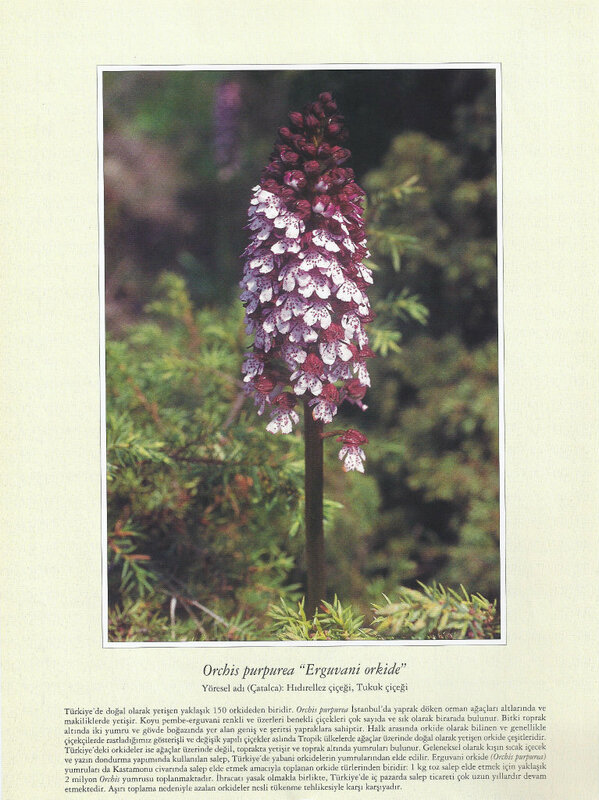 The Ömerli Dam and Reservoir and the hills to its south are home to a number of invaluable, rare plant types. 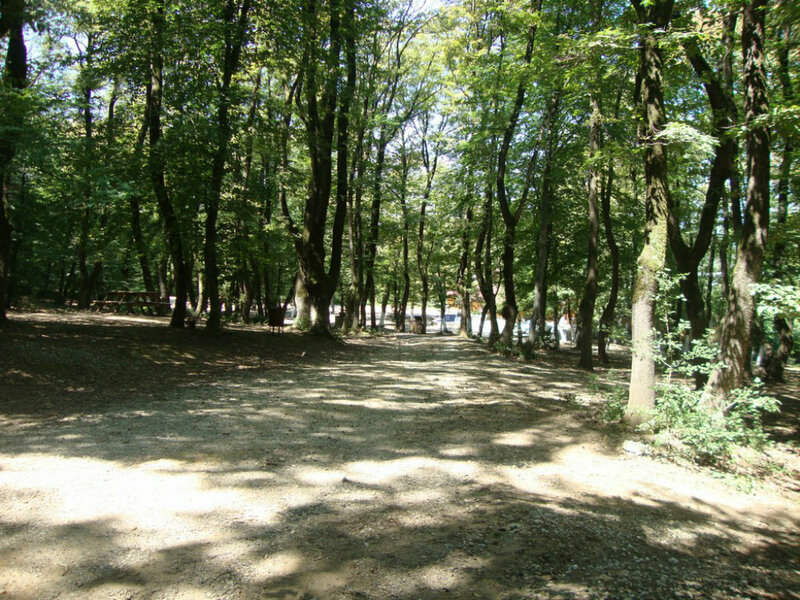 The Alemdağ Forest on the Anatolian side and the Belgrade Forest on the European side are both broad-leaf and mixed forests. Istanbul is notable not only for the botanic qualities of its forests, but also for its wildlife. Despite all threats to their habitat, a number of species of deer, wild cats, foxes, jackals, wild boar, otters, badgers, and a small number of wolves continue to live in its forests. As the result of recent research, it has been determined that owing to the increased in water pollution in the Bosphorus, a number of fish species in the ecosystem have disappeared. Toward the end of the 1970’s there were around 60 species of fish in the Bosphorus. Today that number is only 20. From a perspective of species diversity, there are today 33 types of aquatic plants and animals endangered and in need of protection. From a phytogeographic perspective, Istanbul is originally a forest biome. It is possible to encounter this original forest biome in its natural state on both shores of the Bosphorus. 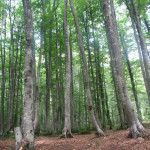 The Alemdağ Forest on the Anatolian side and the Belgrade Forest on the European side are both broadleaf and mixed forests. 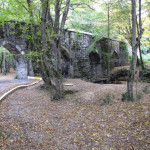 These forests are especially dominated by three kinds of oak trees. 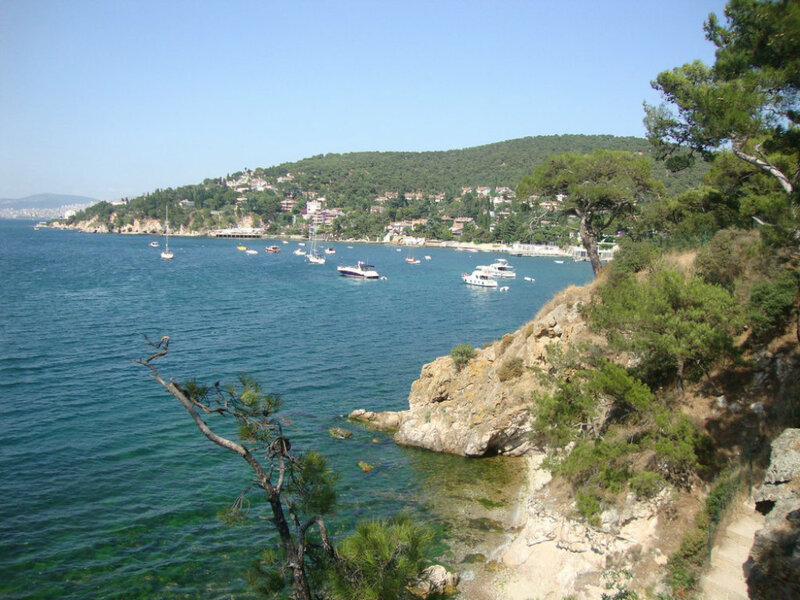 When compared with Istanbul’s heavily forested interior regions, coastal areas and those with heavy settlement have been largely degraded and transformed into pseudomaquis. The most widely distributed kinds of trees along the Bosphorus are chestnut, oak, elm, linden, locust, and ash.